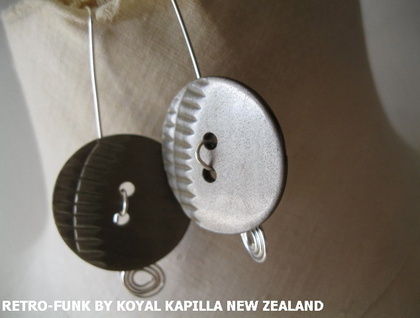 KOYAL KAPILLA NEW ZEALAND - Retro - Funk earrrings. 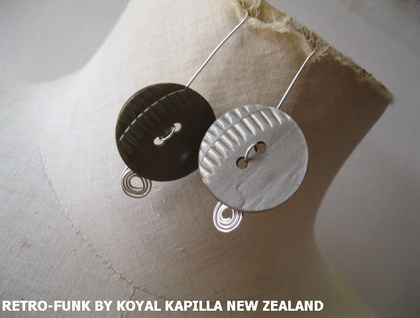 This is a funky pair of dull silver grey toned earrings. 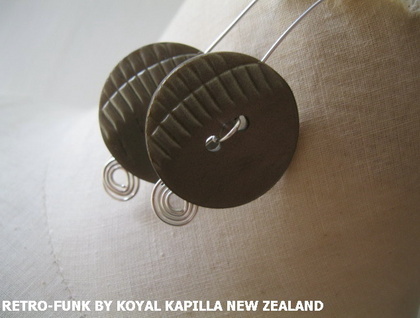 Quite large circles but extremely beautiful and would match all sorts of outfits. Only 1 pair avaliable. This colour of this set was hard to caputure so please note that there may be slight colour difference. The richness and tone maybe lost in the photograph. Sent to you by Courier Post Couriers. All quetions & feedback is most welcomed.